Baby Jogger City Mini GT Single Stroller in sand/stone. This is the stroller we have, and we love it! Stroller research is hard, because there are so many opinions out there, and how do you ever decide? All the strollers lined up in the stores can be overwhelming. We got this stroller after talking to a couple while visiting my good friend, Stephanie, in DC while on the White House Garden Tour. They had this stroller, and I loved it, so we asked them about it. Their referral sold us. There are many things I like about it. It glides extremely well and is easy to push. You can adjust the handle bar, which is nice because everyone in my family is tall. You can lock the wheels if you want. It's very easy to assemble up and down- there is one clip to unlatch on the side to set it up, and you just pull up on the handle on the seat to put it back down. It's super easy (after the initial time of figuring out exactly where those two things are!). You can adjust the seat all the way down to completely flat if you want, which is nice for putting newborns in it, who can't sit up yet, or for older babies who want to sleep. The straps are easy to buckle. I like the storage compartment underneath for storing my purse. I love using it because I can store all my things (plus Norah! ), in it and I don't have to carry anything. It's also easy and doable to use by yourself. Update: Norah is 8 months and I still absolutely love this stroller. Sometimes I still attach the car seat and sometimes I just buckle her in, depending on what we are doing. (Usually I use the car seat if I think she may fall asleep and I know I will have to do a transfer from stroller to car.) The sun shade is also really nice, since it's summer now. Also, it's so nice that the wheels are actual tires- glides so easily! The only thing I would change about it is I would love for the storage compartment underneath to be bigger/have a wider opening. I would still definitely recommend! Baby Jogger Car Seat Adaptor for Britax B-Safe- For whatever stroller you have and whatever car seat you have, you need to buy the adaptor piece for the car seat to hook into the stroller. 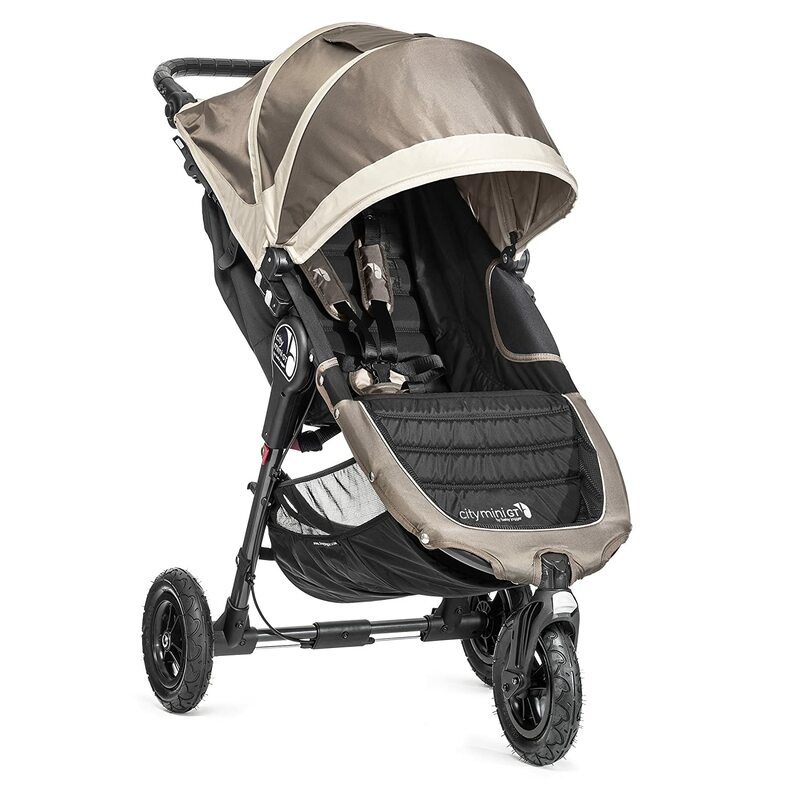 The Britax ones for Baby Jogger are easy (once you figure it out initially). The adaptors just snap in to the sides, and the car seat just clicks in. There is a lever on both sides of the car seat to lift up to detach. Very easy. The Mommy Hook Double Stroller Hook- This is not necessary, but definitely helpful. The mommy hook is great for attaching to the stroller handle, and then you can hook bags onto it when shopping. I personally haven't ever found a use for the baby hook, as it's too small to attach to the handle, but have used the mommy one numerous times. They sell packs of just the mommy hook, and I would get that instead. Verdict: Yes, but get just the mommy hook. Update: Still have and use often. It's great for attaching smaller bags/purses. Baby Jogger City Series Child Tray- We have this, but have not used it yet, as it doesn't really seem useful until Norah can sit up by herself in the stroller, so we are saving it! It looks like it will be good, though! Verdict: Don't know yet, but thinking yes. Update: Norah is 14 months, and we still have not used it. We didn't put it on last summer/fall because she would have thrown everything off of it to the ground. We will use it next spring for sure though! Britax Stroller Organizer- This is super nice to have- I would go as far to say that you need to have it. 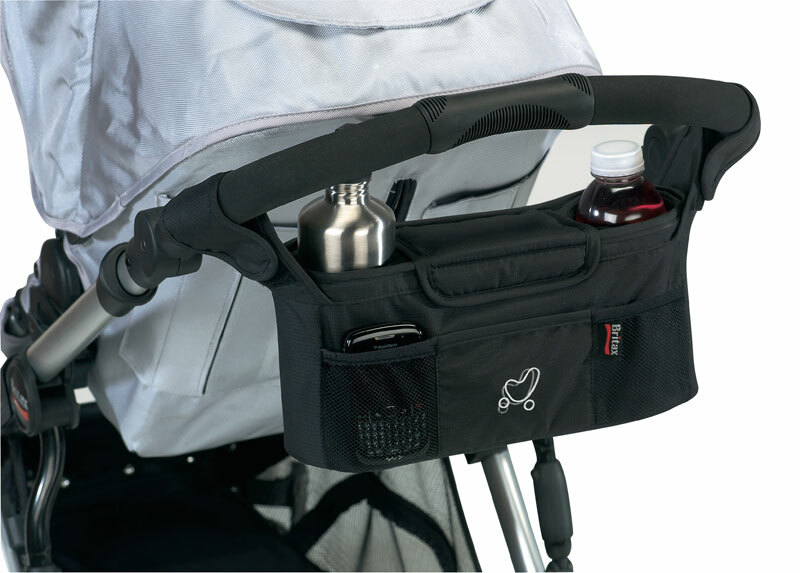 It just velcros onto the stroller handles, and is really nice for storing drinks in the cup holders (obviously), and I like that it has two holders, so I can store my drink and a sippy cup in the future! There is a middle unit and front pockets as well for storing other things like your phone, ipod, keys, chapstick, etc. I like that the middle storage pocket has a magnetic flap to cover it, so your phone doesn't get wet in case it rains. Verdict: Yes! You should definitely get this. Update: Still love it and would highly recommend. Baby Items- Diaper Bag edition. Merry Christmas 2014 part two. Merry Christmas 2014 part one.